Silver lamé jacket with white silk lining and gold seed bead detailing completely covered in Swarovski crystals. 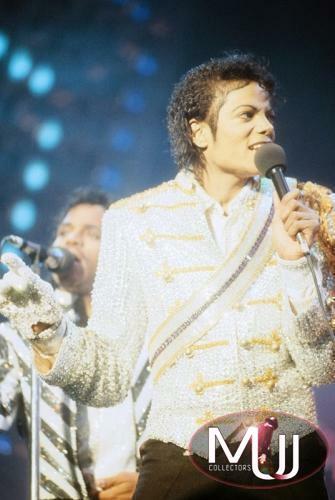 Designed by Bill Whitten and worn by Michael on stage during the 1984 Victory Tour. 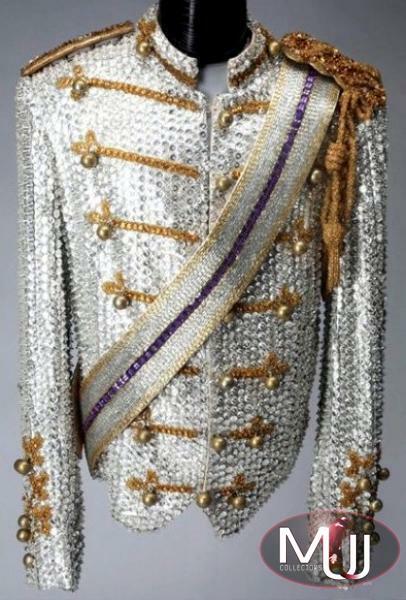 The jacket has three rows of gold metal buttons down the front, removable epaulets with beaded rope and tassels at the left shoulder and a sash covered in gold, clear, and purple beads with single snap closure.